Robert Doisneau (1912 - 1994), is a French master of photography, whose popularity lives on since the late 40's. His clichés of couples in the streets of Paris are famous worldwide. Graduate of engraving and lithography, he worked before the war in advertising and for the French car builder Renault but published his first photographies as early as 1932 in the Excelsior. After starting out in Rapho agency that will allow him to see his photographic reports on Paris published in many magazines like Life, Paris Match, Réalités, Point de vue, Regards, etc. he will continue his work as a "patient passerby" in the streets of Paris and elsewhere, immortalizing here a kiss, there an anecdote, often with a touch of humor but also with nostalgia and tenderness. His talent as a photographer will be recognized and rewarded very quickly, he receives the Kodak prize in 1947, and the Niépce prize in 1956. In 1960, Doisneau mounted an exhibition at the Museum of Contemporary Art in Chicago. 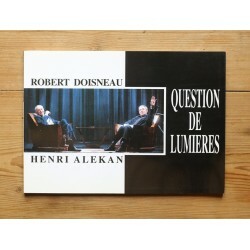 In 1975, he is the guest of honor at the festival des Rencontres d'Arles (France) where an exhibition is dedicated to him. 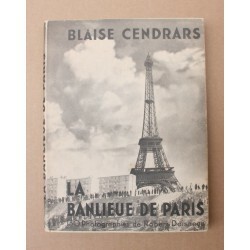 His photos, such as Le Baiser de l'hôtel de ville (The Kiss at City Hall), or his many black and white photographs of the streets of Paris, made him famous all over the world. He was, remembering also Willy Ronis, Édouard Boubat, Izis, and Emile Savitry, one of the main representatives of the current of French humanist photography. 1956 Gosses de Paris par Jean Donguès. 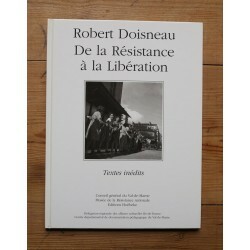 Photographies from Robert Doisneau - Éditions Jeheber, Paris.